Price has been reduced due too feedback regarding pricing of our conferences, the current state of the economy and in addition our own efforts to lower our costs doing online conferences. 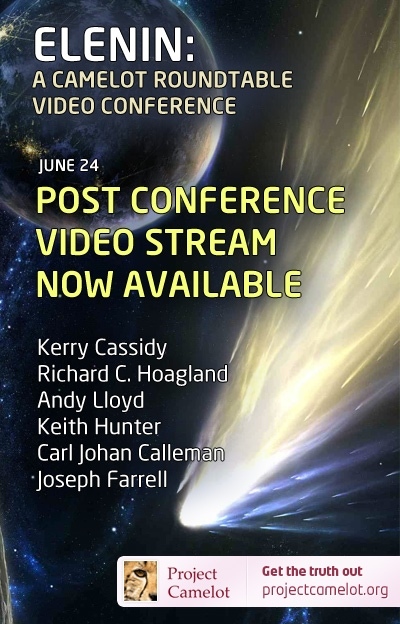 We have successfully been able to lower the viewer rate down to only $10.00 pr viewer from the original price of $19.00 pr viewer for this conference. Ticket holders that paid the original rate are free to request refund or a $9 discount on any future event we do. Note: After purchase please return (logged in) and scroll to the bottom of this page and download the small zip file called " jamesbondisreal-accessinformation.zip". This contains all needed access information for the conference. 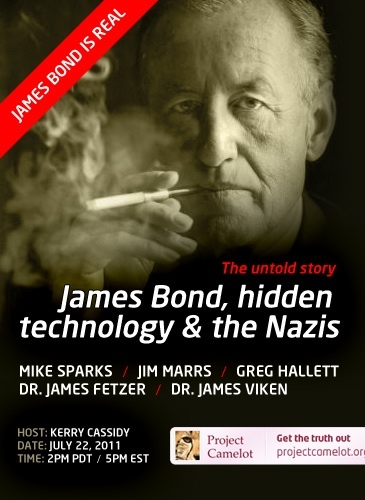 Kerry Cassidy of Project CAMELOT has invited the following experts together for the first-time ever to reveal all that they know of British Naval Intelligence Commander Ian Fleming and his alter ego James Bond, Agent 007–and how he warned us about the secret elites who actively seek to control the world. This conference centers around research put forth in the recent publication of James Bond is Real.